Jana K. Rasmussen, MD, FACS, a board-certified plastic surgeon in West Palm Beach, recently launched an innovative new website with in-depth information to enhance her current and potential patients’ online experience with her practice. In collaboration with Dr. Rasmussen, our medical website design team at Rosemont Media created an interactive and educational network anyone considering cosmetic or reconstructive surgery can rely on. Incorporating the latest innovations in graphic design and development, the aesthetically pleasing website provides an easy-to-navigate framework with fully-optimized descriptions of all surgical and non-surgical cosmetic procedures the practice offers, as well as a doctor biography, patient testimonials, and a before-and-after gallery. 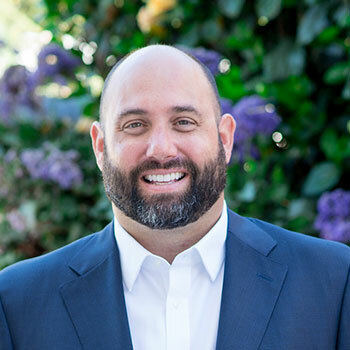 Dr. Rasmussen hopes that the website will ultimately help tell the story of her plastic surgery practice, and showcase her drive to provide exceptional, individualized care with a woman’s touch. 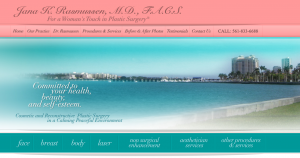 Visit Dr. Rasmussen’s plastic surgery website, then contact her practice to schedule a consultation today.